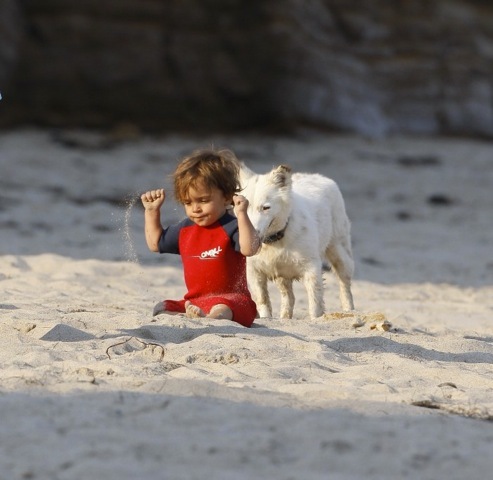 Under the watchful eye of his grandma Alves, Levi McConaughey froliced in the sand at a beach in Malibu yesterday. The family dog BJ also stayed close to the tot making sure that he didn’t wander far. The surfer baby wears an O’Neil O’Zone Spring Series Wetsuit.